High pressure is shifting to the east this morning and that movement will continue today. That will bring a southerly wind flow across all areas today. That southerly wind in combination with a weak area of low pressure in western North Dakota will bring cloudiness to most if not all areas today. Besides flurries, no precipitation is foreseen with the cloudiness. 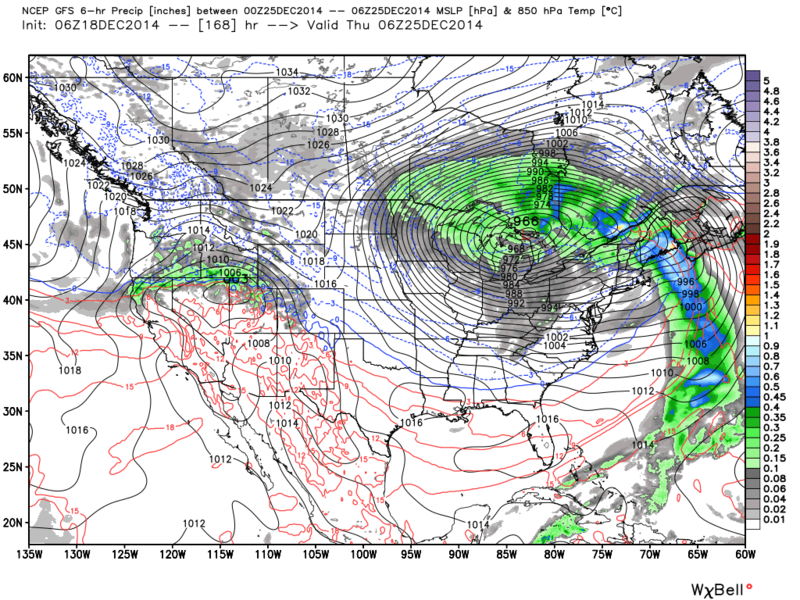 It still appears the main threat of any snowfall will come early next week. Current timing would suggest on Monday or Monday Night, until then a slow warm up with cloudy (or mostly cloudy) conditions projected. Minimum temperatures this morning were in the 10s where the cloud cover was persistent overnight, single digits were common in the clear or partly cloudy locations. 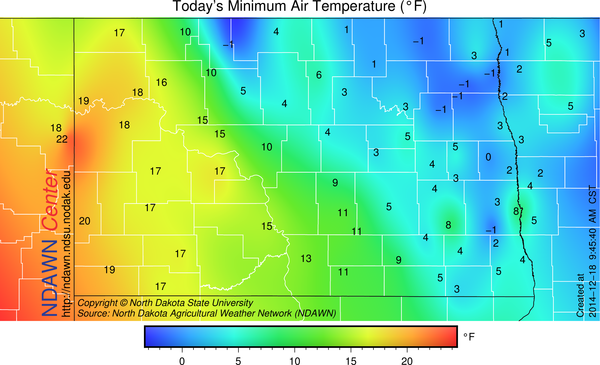 With clouds more abundant in the eastern part of North Dakota today, those areas should be warmer on Friday morning. The currently upper level wind flow is from the northwest, that is expected to shift to a more westerly flow (zonal) by the weekend. 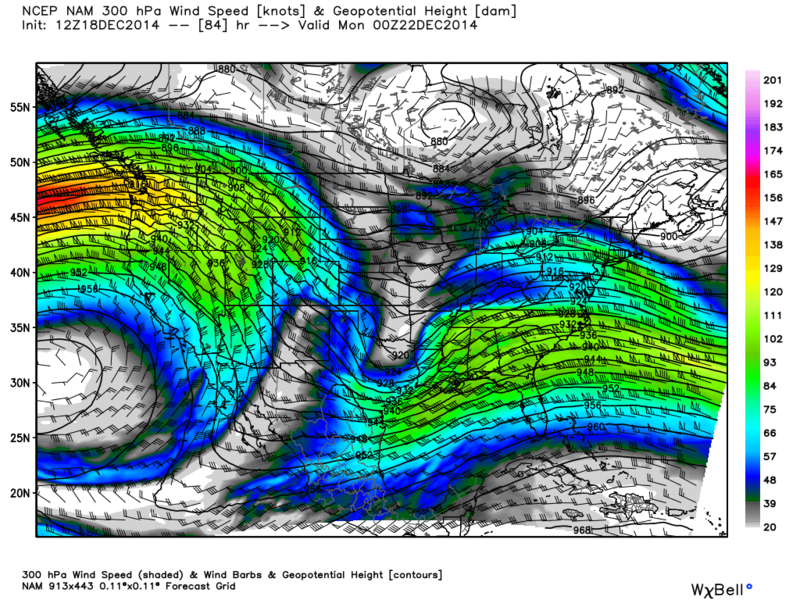 By Sunday not only has the jetstream become more zonal, allowing for “mild” Pacific Air to move into the region, the Jet wind speed will greatly increase along the west coast. 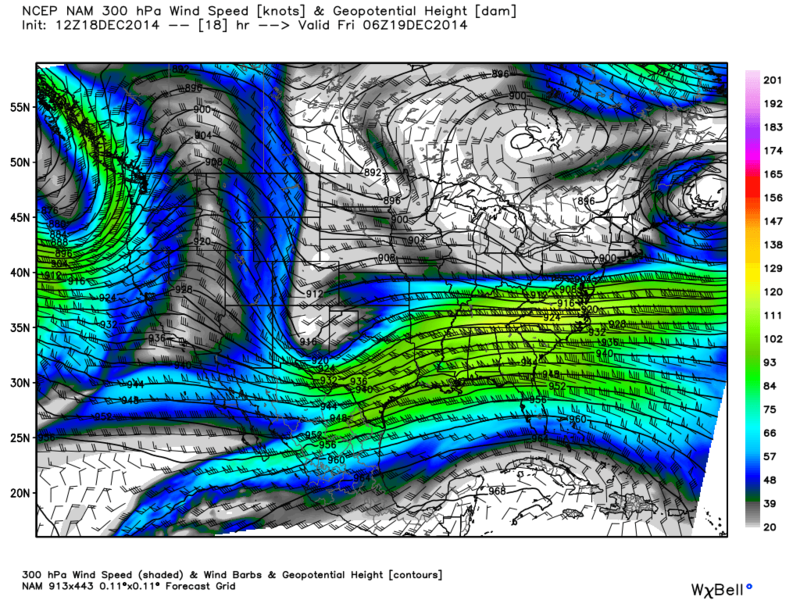 This in combination with other factors should induce a power storm to form next week. Computer guidance suggest a very strong area of low pressure will develop rapidly toward the middle of next week. When a storm rapidly deepens (pressure drops) of 24 millbars or greater in 24 hours, that strengthening is referenced as bombogenesis, or simply a “bomb”. Because this “possible” storm next week may by definition fit into this category, and it is going to happen near Christmas, it has been given the same “Santa Bomb” by many on social media. Any details to snow, rain, track, etc, are clearly uncertain at this time, but the general trend, atmospherically, for a push of colder air into this region seems likely. For it to get extremely cold (-20s) would require some new snow, at the moment, it appears we will be cold, but probably in most areas not that cold. Below is a projected surface map from the Global Forecasting System (GFS) for midnight on Christmas Eve night (12:00 AM Thursday). Anything close to that scenario is a wide open door from Siberia to North Dakota, so cold is coming, just a matter of how cold it will get and at the moment, probably just a “typical” cold snap (-10s for most) with the coldest air from December 27 through January 1, 2015.